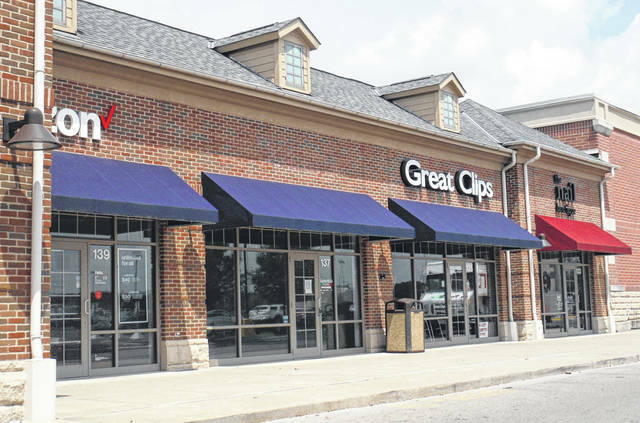 The future Delaware General Health District Sunbury branch will go into the space the former Sansotta’s Italian restaurant occupied between Verizon and Great Clips at 137 state Route 3. The Delaware General Health District is planning on opening up a branch office in Sunbury this fall. “We are looking at different ways to better serve our communities, and one of those ways is having satellite locations,” said Traci Whittaker, DGHD spokeswoman, in an email. Health Commissioner Shelia Hiddleson made the announcement at a recent meeting of the Sunbury Village Council. She said the district’s downtown Delaware headquarters at 1-3 W. Winter St. is cramped with 75 employees, and it is important to spread some of those resources additionally to the growing areas of the 200,000-person county, such as Sunbury and Lewis Center. The DGHD office will be in the Sunbury Mills Plaza Shopping Center at the corner of state routes 36/37 and 3, in the storefront occupied by Sansotta’s Fresh Italian until earlier this year. A sign in that window recently said the restaurant had closed due to unforeseen circumstances, but its Marion location is still open. Hiddleson said the DGHD was fortunate in that Kroger, the center’s anchor, approved having the agency to locate in the shopping center, since the store had its own pharmacy. She said the Sunbury branch of the DGHD will have a couple people working in the office, providing some, but not all of the services offered by the Delaware headquarters, such as birth and death certificates. Another benefit to the Sunbury location is there would be plenty of parking in the shopping center’s newly-repaved lot. More details will be announced, but the office is expected to open later this fall, Hiddleson said. In addition, some of the DGHD services offered at Sunbury-area churches would likely continue at those sites to make it more accessible. The Delaware General Health District’s mission is “fostering, protecting and improving the health of our residents and our community … preventing chronic diseases … (and assuring) a safe and healthy environment.” Among the many services the district offers include providing bike racks to Sunbury’s Village Square through a federal grant; plumbing inspections in Powell; spraying for mosquitoes; giving vaccinations; inspecting restaurants; monitoring the flu and illnesses such as the outbreak reported at a Chipotle in Powell; playground improvements in Ashley; and working on a Community Health Improvement Plan. Newborn Home Visits allows nurses to visit any family of newborn babies, regardless of income. Partly as a result of these programs, Delaware County has been named the healthiest county in the state four years in a row. The ranking is based on nine categories: adult smoking, adult obesity, food environment, physical inactivity, access to exercises opportunities, excessive drinking, alcohol-impaired driving deaths, sexually transmitted infections and teen births. https://www.delgazette.com/wp-content/uploads/sites/40/2018/08/web1_DSCF4020.jpgThe future Delaware General Health District Sunbury branch will go into the space the former Sansotta’s Italian restaurant occupied between Verizon and Great Clips at 137 state Route 3.